There is no company in Utah better suited to wrap your vehicles than us. We’ll help you in every step of the process. From design all the way to installation. We offer expert design services and print only on the highest quality materials. 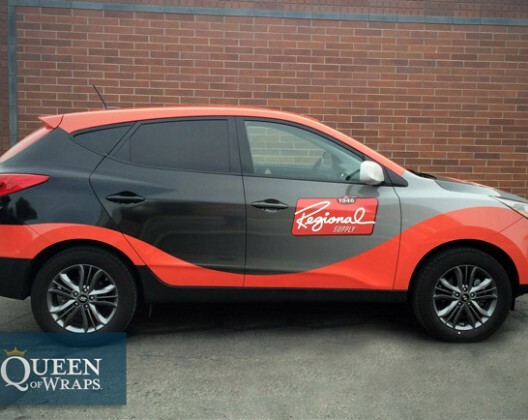 Additionally employ a highly experienced team of wrap installers. If you don’t already have artwork prepared we will work with you to create a design for your vehicle. 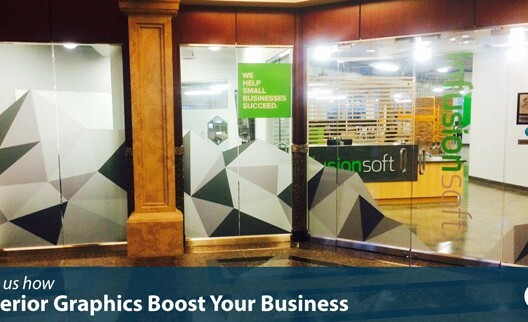 Our designers will help create a wrap that’s both attractive and eye-catching! We’ll let you sit down right with our designers to talk about your ideas. If you don’t have too many ideas then we’ll come up with several great concepts that you can choose from. 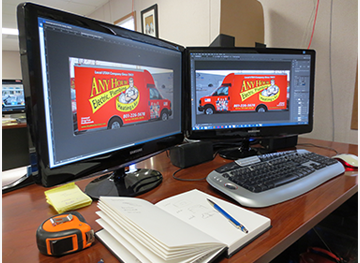 We use Photoshop to lay out the graphics right onto a photo of your actual vehicle. In this way can get a good idea of what the end product will look like before we print anything. You will also be able to see what it will look like before you make any major decisions. We will be sure to do everything we can to make sure you get a design that works for you! We use the best printing technologies in the industry. 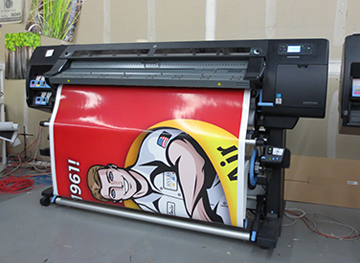 We have over a dozen full-color latex printers. These printers can produce the most stunning colors you didn’t even know existed! Some other graphics companies and sign shops may try to get away with putting cheap sign vinyl on your car. 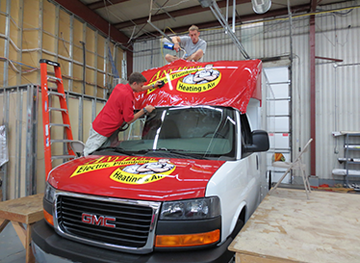 However we pride ourselves in only using the highest quality vehicle wrap materials produced by Avery. This material is specifically designed for wrapping cars. It will stick and conform to the contours of your car. Because of this property, it sticks without damaging the paint. It will even be relatively easy to remove later down the road when it comes time to resell your vehicle. We laminate the media with Avery’s UV protectant laminant, which preserves colors from sun damage. Be sure to ask us about specialty materials we offer. We have the ability to wrap in matte black, stormtrooper white, reflectives, and metallics among others. We employ a team of experienced installers. Their primary job is to install vehicle wraps. This gives us the capacity to wrap multiple vehicles on a daily basis. Also, this insures the increased expertise and skill of our installers.